HCFoo's Tennis Blog – Tennis Celebrity Photos, News, Gossip and More! 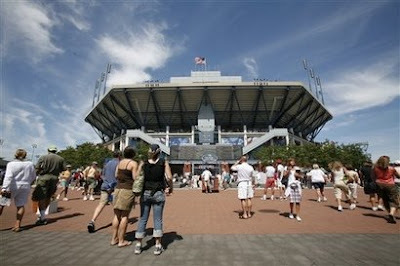 : Who's at the US Open? 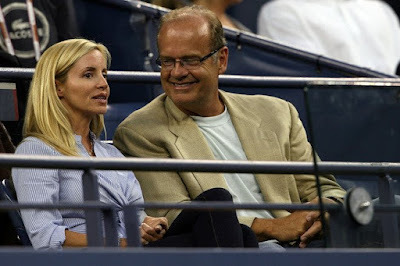 Actor Kelsey Grammer, from the show Frasier, and his wife Camille Grammer look on during Day 3 of the 2008 U.S. Open at the USTA Billie Jean King National Tennis Center. 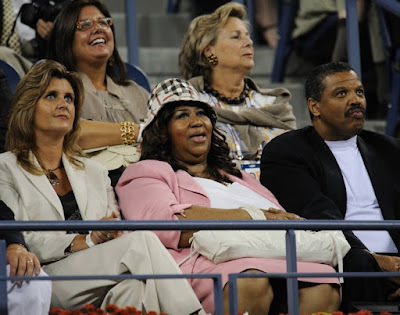 The legendary Queen of Soul, Aretha Franklin certainly don't want to give the U.S. a miss too. She watched the match between Alisa Kleybanova and Lindsay Davenport that saw Davenport posted a 7-5 6-3 triumph. Look who did Franklin bump into? 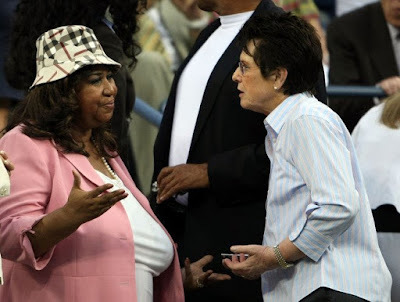 She was seen talking to another legend, Billie Jean King.